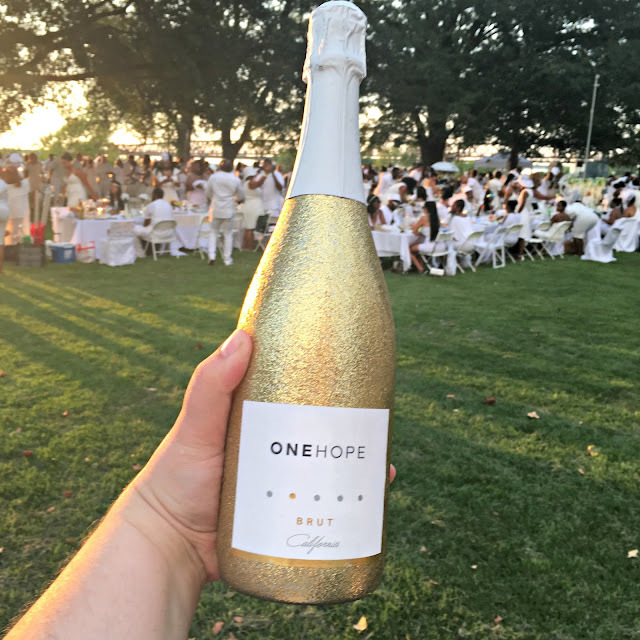 Memphis recently become the latest city to host Diner En Blanc and I had the pleasure of attending and enjoying a bottle of One Hope Wine along with a delicious dinner. Diner en Blanc is a very involved event but in a nutshell it's a flash mob / dinner party with food, wine, dancing and fun. 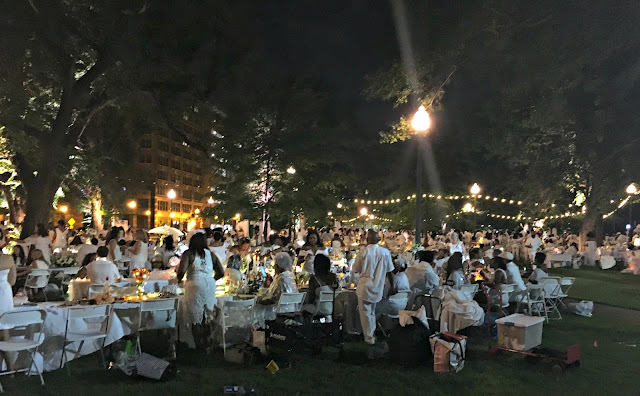 Diner En Blanc started in Paris 30 years ago with the simple idea of friends gathering for a dinner party - so the story goes no one in the group had an apartment large enough for the gathering so the group decided to meet in a park and all wear white in order to find each other easily. 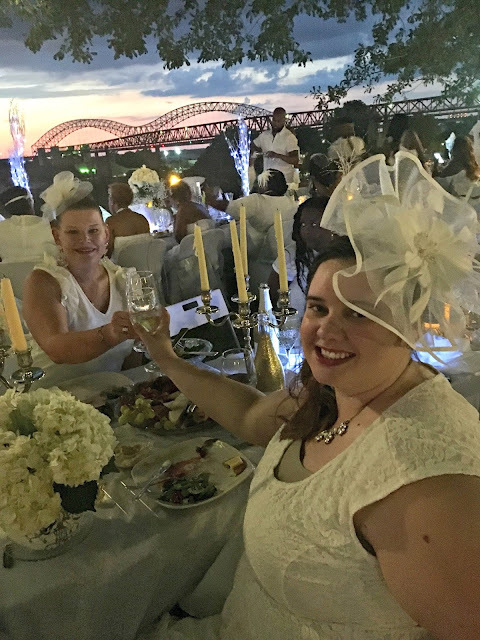 Thirty years later DEB has expended internationally and each event brings thousands of attendees - the inaugural Memphis DEB had 1,000 attendees. 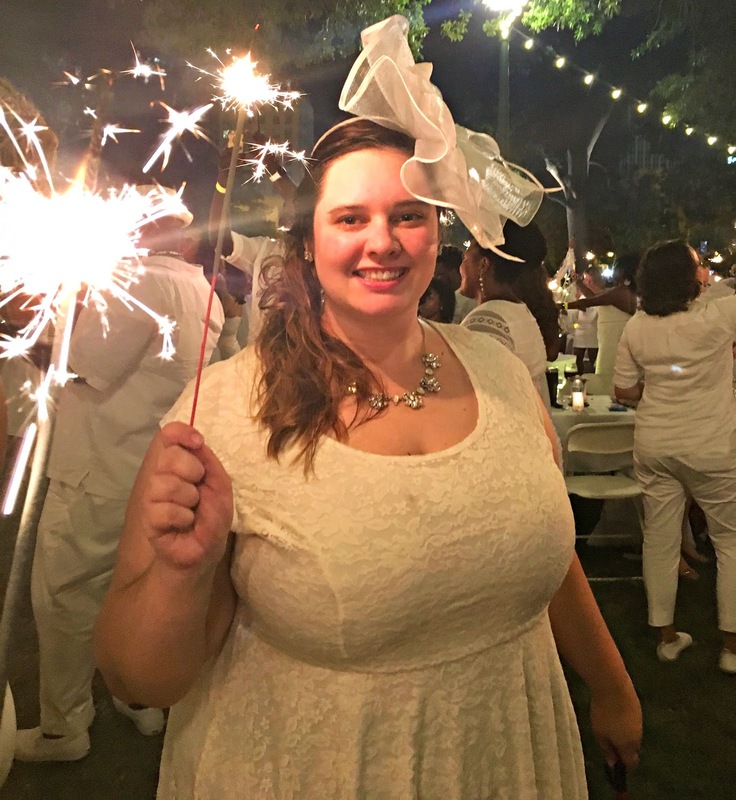 Attending Diner En Blanc requires a lot of planning. Invitations / Tickets are offered in three phases: first to individuals who have attended prior events or those invited by the host these individuals can then refer individuals to be included in the 2nd round and then finally the event opens up to individuals who signed up for the waiting list - in Memphis the event sold out in a few minutes with phases starting two months prior to the event. Tickets are only sold in pairs and between DEB membership fees and the actual ticket run around $100 per couple - this covers entry to the event. Part of the fun of each DEB event is that the location is unknown to the guests. The ticket covers transportation to the event and the music at the event, permits and event décor. Unlike most larger events entry to the event does not include much - not only must tables and chairs be white but they must be provided by each pair of guests. 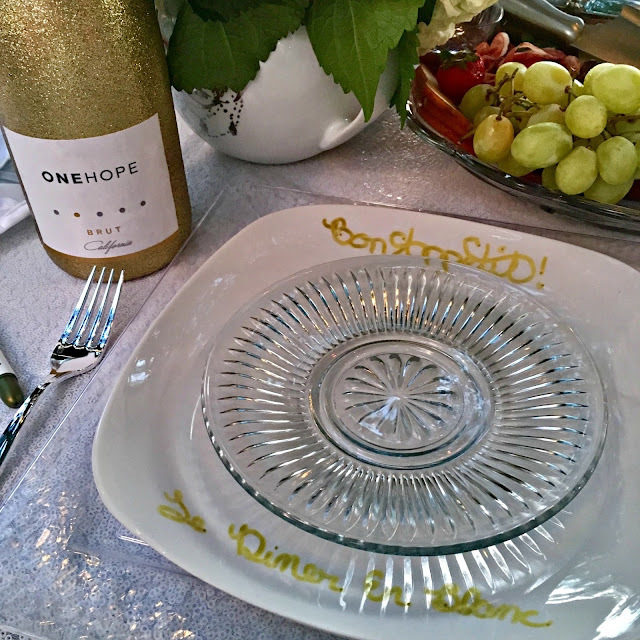 Guests also provide their own food, drink, and décor. 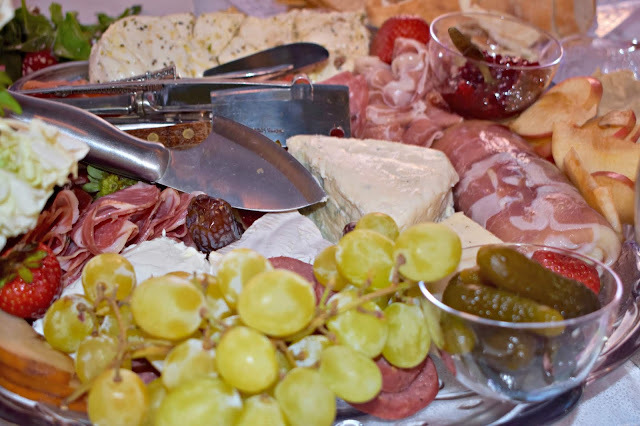 Typically DEB partners with a local rental company, catering company and winery so that guests may have the option of purchasing items to pickup at the event. Once a ticket is secured the real planning begins. Diner En Blanc creates a unique experience but to get that experience a very lengthy set of rules / guidelines is part of the process. Blanc of course is French for white and that is a very serious part of the event. 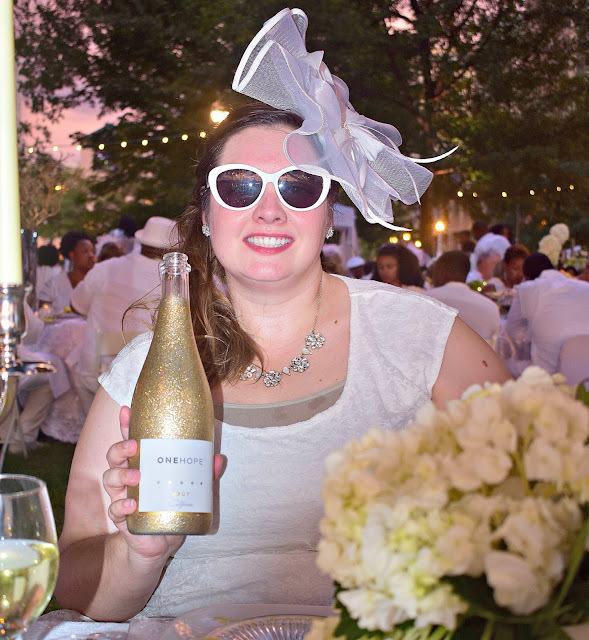 Attire of the guests must be all white - metallic shoes and jewelry are however permitted. Tables and chairs must be white or covered in white - metallic table accents and flowers in any color are allowed but most attendees tend to keep their flowers within the white palette. Pretty much everything at the event that will not be stored under the table during the event must be white. To Shaun this sounded a little more complicated that he was interested in so I attended with my bestie Carrie. White Shaun may not have already had an all white outfit in our closet Carrie and I both did although we did both purchase new fascinators for the occasions as festive headwear does seem to be the thing to wear at DEB. Likewise between Carrie and I we already had everything most of what we needed for our table including the actual table, chairs and chair covers. I did purchase plates and glasses from the Dollar Tree because I didn't want to risk breaking my china and crystal carrying to and from the event. Going with a friend also meant we were able to divide the preparations - I gathered all the table supplies while Carrie prepared a wonderful salad and charteurie platter. 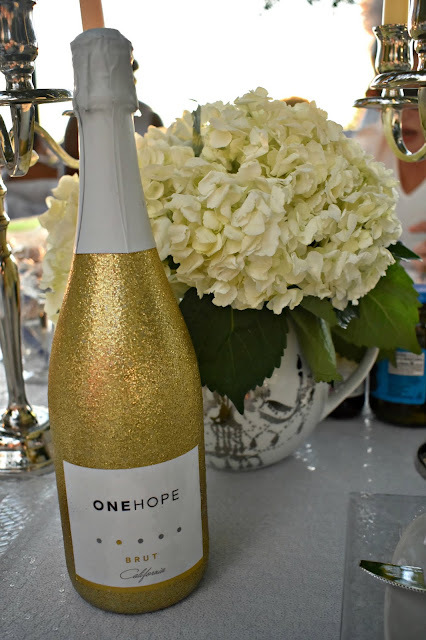 At the event we picked up a bottle of One Hope Wine sparkling brut - this was my first time trying this particular wine and while I'm usually not much of a dry fan I found it to have a just enough of a hint of sweetness to appeal to my palate and Carrie was equally impressed. It took a collapsible wagon and a rolling cooler to transport all of our items to DEB. We meet at our meeting location an hour before we were scheduled to meet at the event. In order to maintain the secrecy of the event location guests are not told if their meet up spot will be walking to the event or taking buses - it turned out our group met up spot was 8 blocks away from the venue - unfortunately that meant that in the Memphis heat by the time we arrived most people in my group had worked up a bit of a sweat. 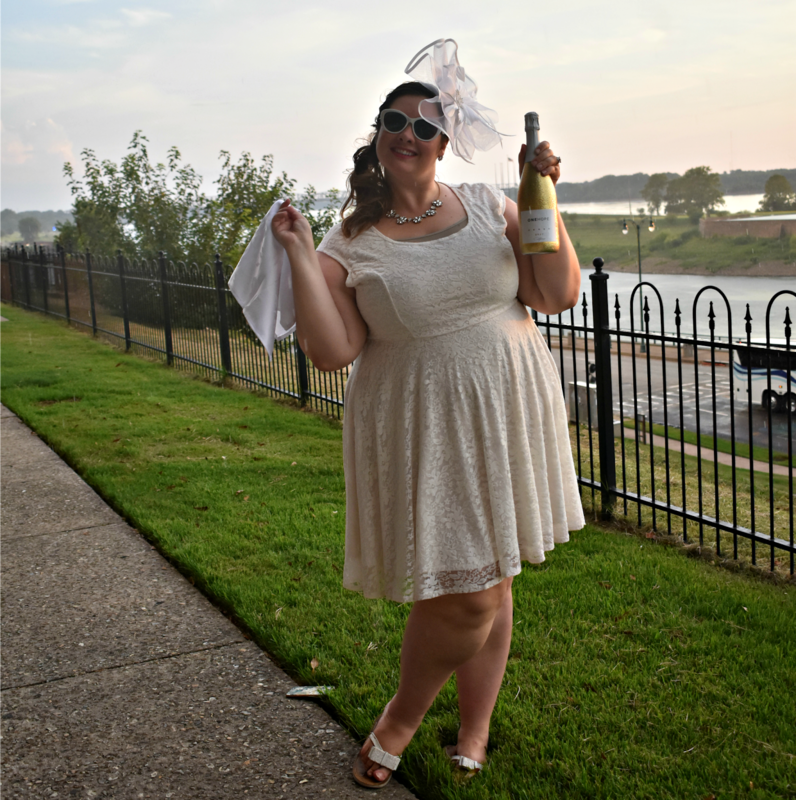 My initial guess when I first heard of DEB was that a dinner along the Mississippi River would be perfect and sure enough it was! When we arrived at the 4th Bluff park our group leader has us lined up and lead us to our designated set up spot where we quickly got our tables lined up and our dinner ready. During the dinner we all waved our white napkins in the air - which is a DEB tradition. When we first arrived at the venue a string quartet was playing but as the evening went on a DJ took over and as people finished their meals they started mingling and dancing. It rained briefly during the event and it was so hot and humid the entire time but that couldn't stop the good times. One of the fun parts of DEB is meeting new people and hanging out with a crowd beyond your typical circle. We ran into old friends and took advantage of several photo spots set up around the event. We danced and then we ended the evening with the whole crowd lighting up sparklers - another DEB tradition. The event was a lot of fun but I must admit that I had a lot of skepticism when I first heard about DEB. A lot of people have asked the same question I wondered the first time I heard about the event - was it worth it? As y'all know I'm very fiscally conscious here so I always try and breakdown cost - between attendance costs food and beverage I don't see it possible to spend less than $200 for two to attend the event. 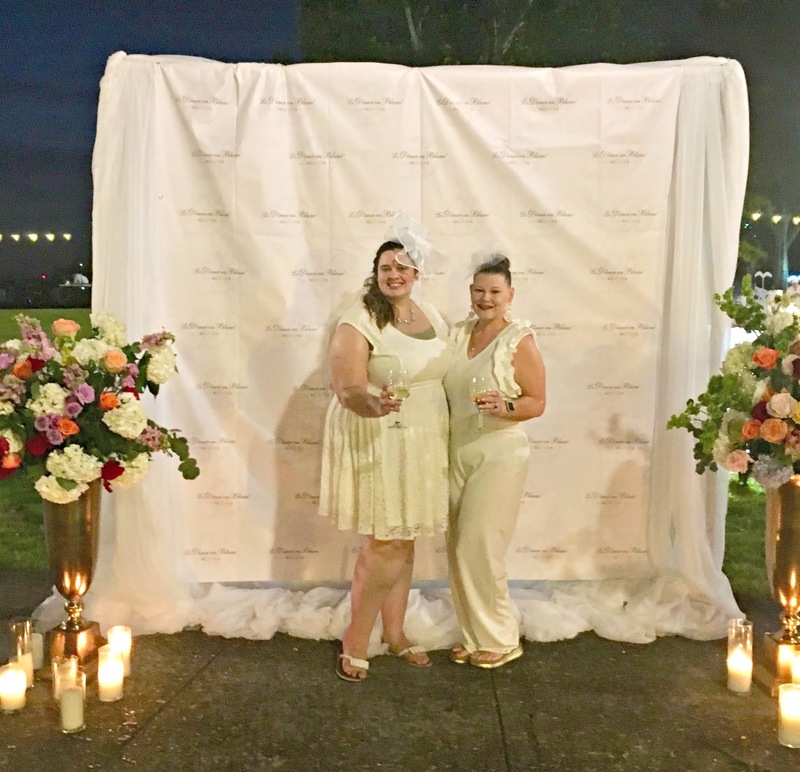 On one hand Shaun and I attend other fancy parties for less than $100 each several times through out the year - on the other Diner En Blanc is a very unique experience and so much more than a fancy party. Beyond the financial cost there can be quite a bit of work to attend DEB - guests could spend the money buy food and wine at the event and rent a table and chairs and show up to the event empty handed but part of the fun of the event seems to be the preparation and setting out a unique and beautiful table. At the end of the day I think DEB is like any event where you get what you want out of if - if I went looking for the event to not be fun than I could have made myself miserable about the heat, about having to bring a bunch of stuff or about how I could have spent less and had a nice dinner out. But I went looking to have a good time and I enjoyed getting to share an unique experience of dinner with a sunset in the background, the pride in making the table look beautiful, the fun of trying new things and meeting new people and the knowledge that this experience was more than a celebration of friends it was a celebration of our city.